Today, The Honourable Ms Tina Joemat-Pettersson, Minister of Energy, inaugurated the 175MW Solar Capital facility based in De Aar, Northern Cape – making it the largest solar farm ever completed in the Southern Hemisphere, Africa and the Middle East region. This launch of the facility is the culmination of a two-phase project. The first phase has a capacity of 85MW and the second phase an even larger capacity of 90MW. In total the facility is 473ha, consists of 503 942 modules and took a mere 28 months to construct. The amount invested in the project totaled R2.2 billion and R2.6 billion for the first and second phase respectively – making an overall investment of R4.8 billion in the development of the facility. Paschal Phelan, Chairman of Solar Capital, says that the launch of the facility is an important example of how solar power can assist in solving the current energy crisis in South Africa. 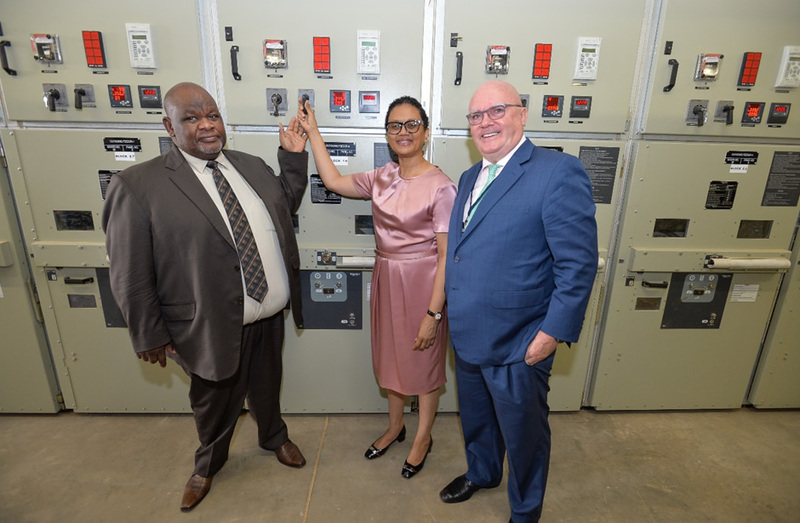 “The Northern Cape of South Africa has some of the highest irradiation levels in the world, with the location of this facility boasting 2168kWh/m². This allows the abundant sunlight in the region to be converted into green energy to be transferred to the national energy grid,” says Paschal Phelan. Paschal Phelan explains that South Africa as a whole will benefit from the facility, as all power generated from the project will be exported into the national electricity grid. “The electricity produced will be able to power approximately 75 000 South African homes every year,” says Paschal Phelan. Paschal Phelan adds that, with the introduction of lithium batteries in the near future, power will not only be transferred during the day, but can also be provided at night when it is most needed. Paschal Phelan says that by the end of 2016 more than R24 million will be spent on economic development in projects, such asa community leaders development programme, free Wi-Fi for the town of De Aar, a large community training centre that houses a computer training laboratory, as well as an arts training and exhibition centre. “The launch of the solar farm is not only a success in its own right, but also allows for the opportunity to spread the message of solar success. It has no mechanical parts, it has minimal operation costs, no emissions, no water usage and it is safe. It needs to be a priority in South Africa that we continue the investment in this source of abundantly free, green, sustainable energy,” concludes Paschal Phelan.